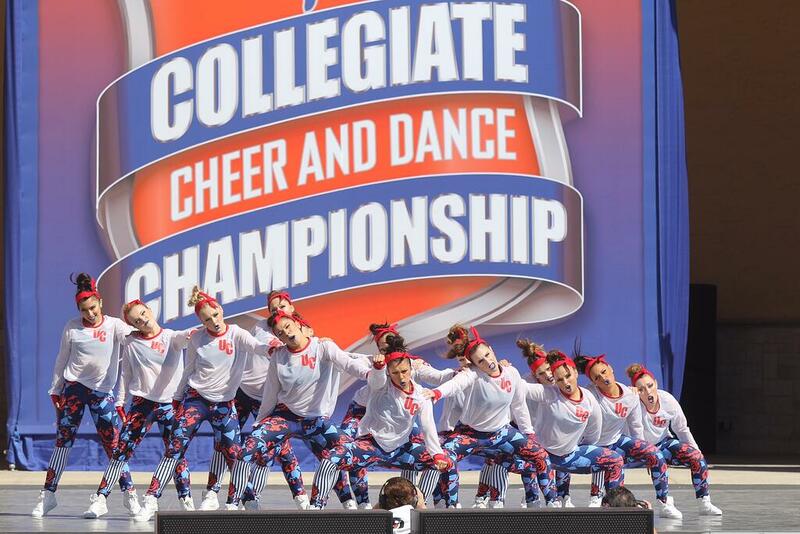 UCONN Dance Team with a fun, sporty and feminine look! 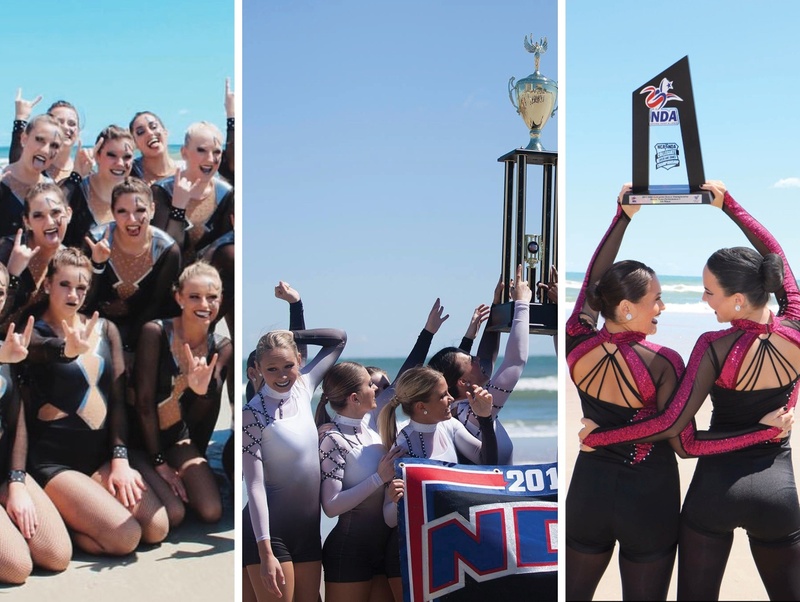 The 2017 dance competition season officially came to a close last weekend with the 2017 NDA College Nationals! 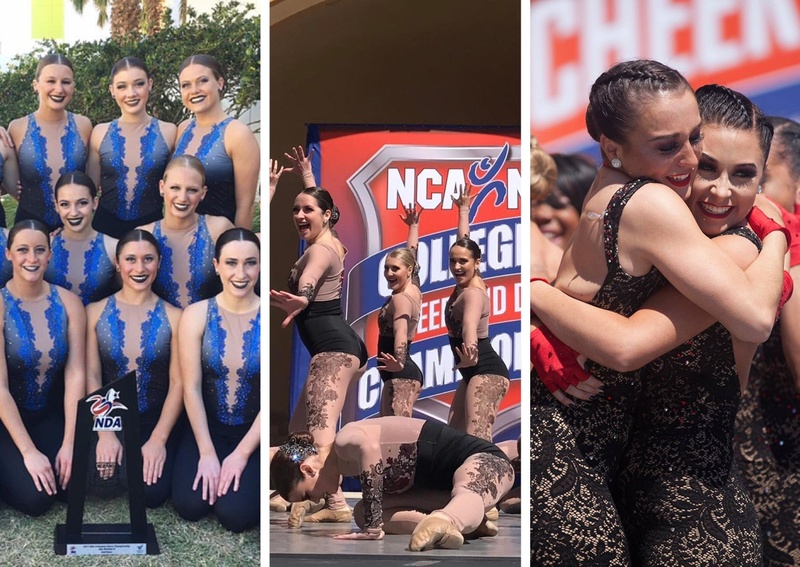 College dance teams have been known to sport a lot of unitard looks at NDA, but this year we saw teams mix it up quite a bit! 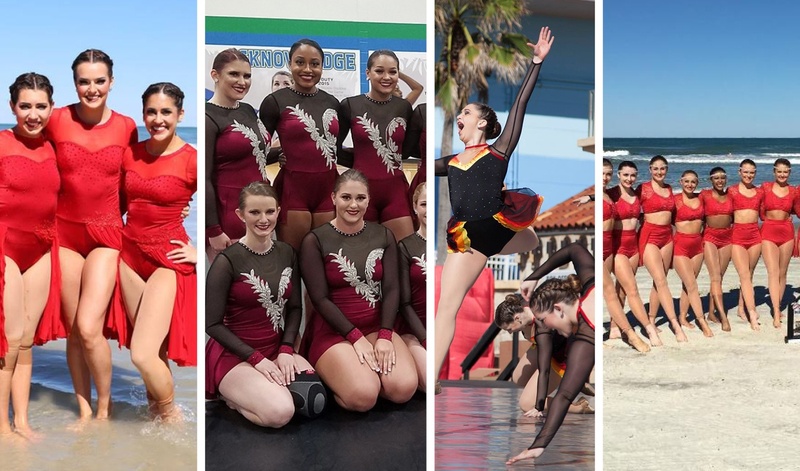 Check out some of our favorite dance costume trends from the competition (some by TLU, and some by others). The secret to the perfect biketard? Dynamic lines, mesh accents, and strong shoulders! We loved these looks that included all three elements, especially Miami University's edgy rock look! An open front skirt is the perfect addition to a romantic look costume, and we spotted this trend everywhere! It's a modern twist that maintains a little coverage without going full-on leotard. 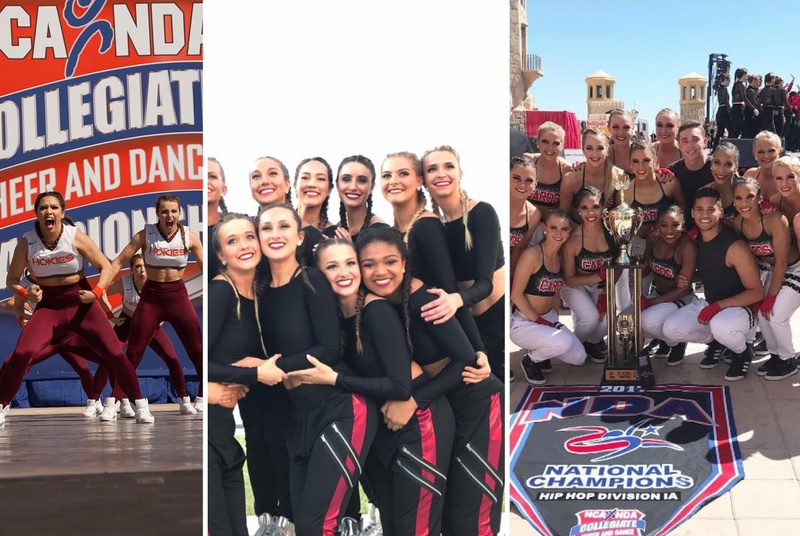 Sporty crops were the perfect way for teams to rep their schools at Nationals! We particularly loved the longer crop top that hits at the natural waist for a figure flattering look, and pairing a crop with leggings or pants. 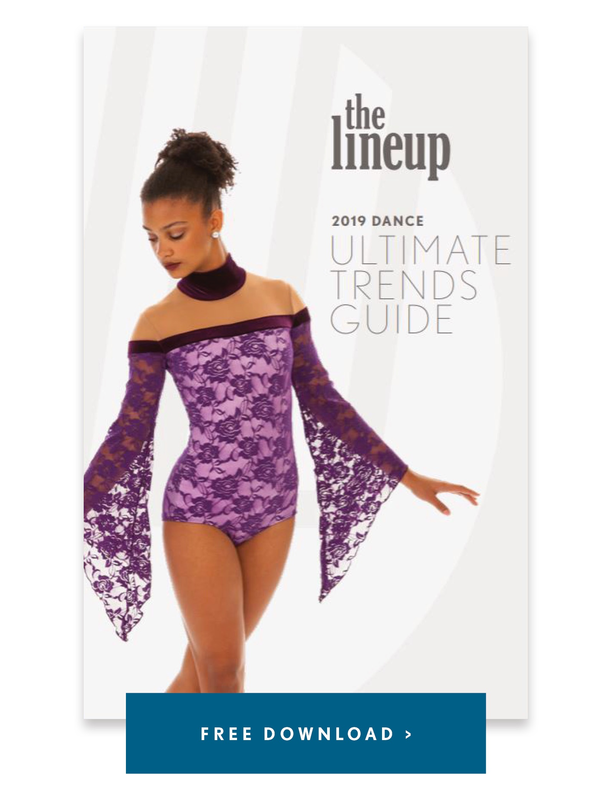 Lace and the romantic look have been trending hard for quite some time at nationals! We love these new interpretations of lace to keep it fresh! Unique lace patterns, lace printed on mesh, and ombre lace - so chic! What was your favorite look from NDA? ?